In the centre of Estella-Lizarra, an old mediaeval city, is the church of San Pedro de la Rúa. 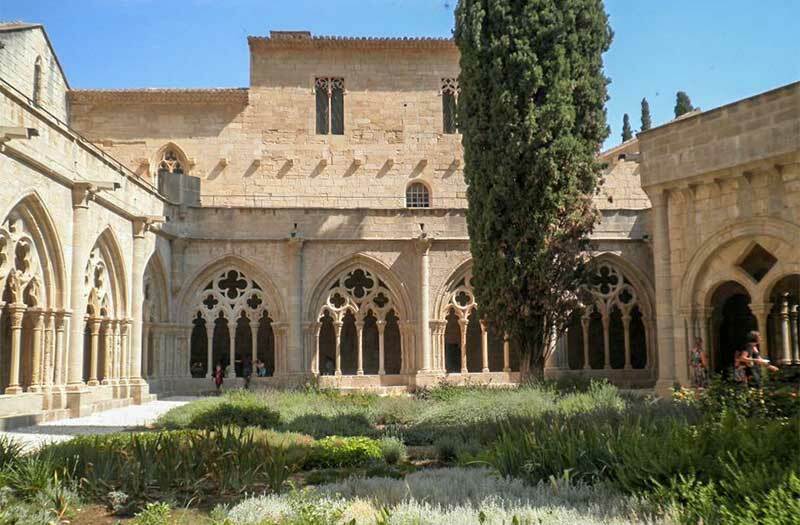 This is the largest church in the city and has remarkable 12th-century cloisters that are considered to be very valuable due to the rich Romanesque sculptures. 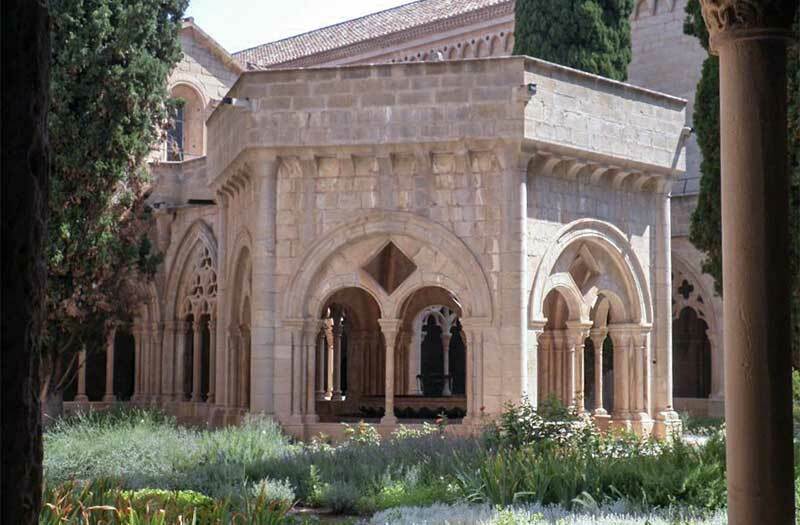 The cloisters date to 1170, is one of the most beautiful parts of the church. The north and west galleries remain today. The other two were destroyed by order of King Felipe II in 1572. 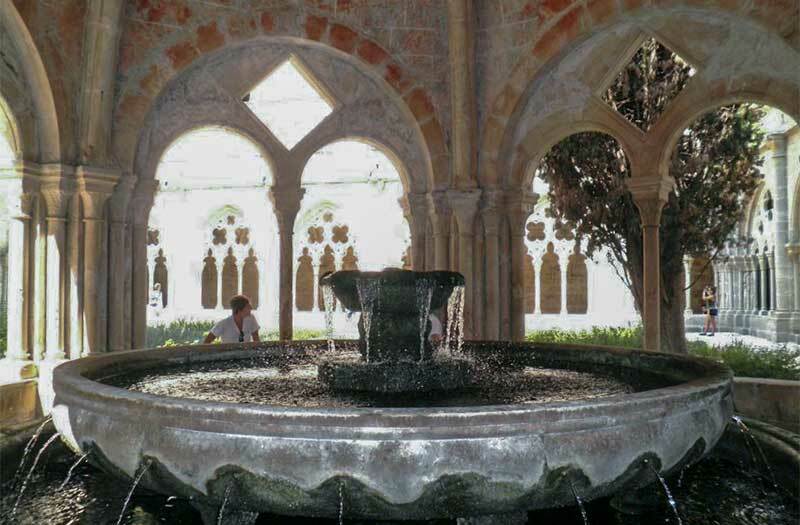 The cloister has a square layout. 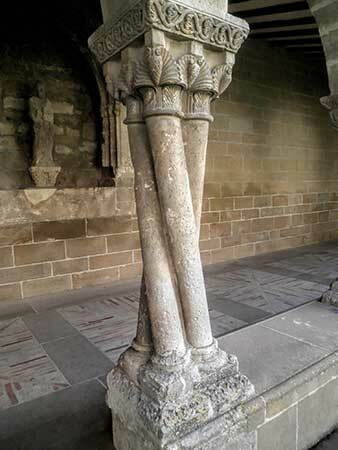 The style is from the late Romanesque period. It portrays icons of plants and animal motifs, icons of the Pilgrim's Way to Santiago. There are nine simple semicircular arches on each side, supported by pairs of columns. The capitals of the north wing have scenes of the Saints and the life of Christ. The capitals of the west passage contain motifs of plants and fantastic creatures such as harpies and variations on eagles. 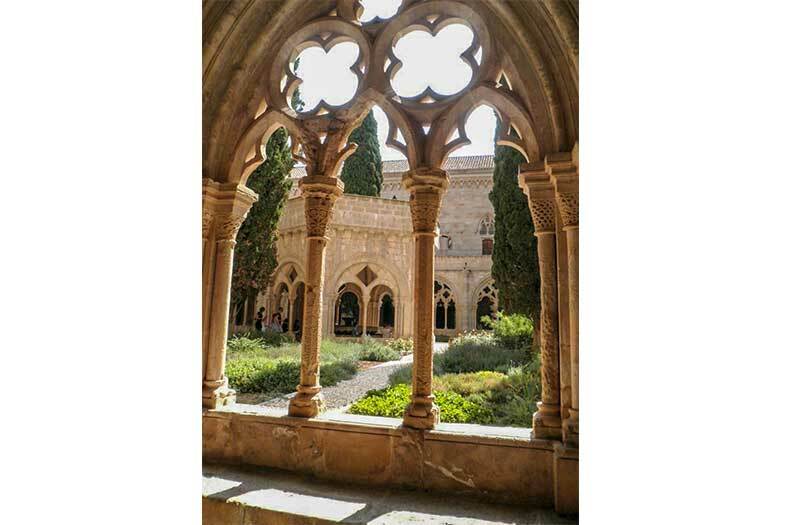 Thanks to my friend Christopher Johnson for sending me photos and information on the cloister.